As seen in November 11, 2016 edition of the Nashville Business Journal. Click image above to be redirected to www.westinnashville.com for more information. D.F. 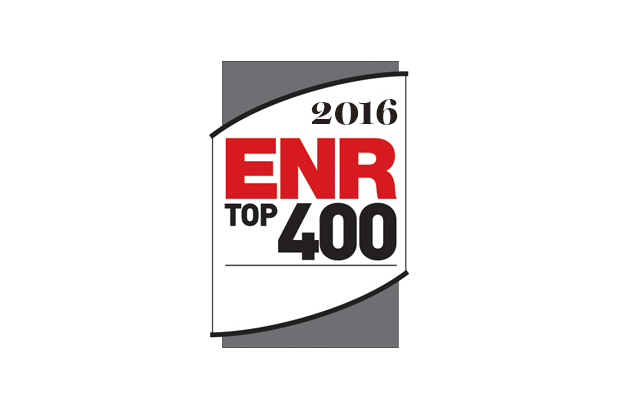 Chase is proud to announce that it has been selected to the 2016 Engineering News-Record Top 400 Contractors list. D.F. 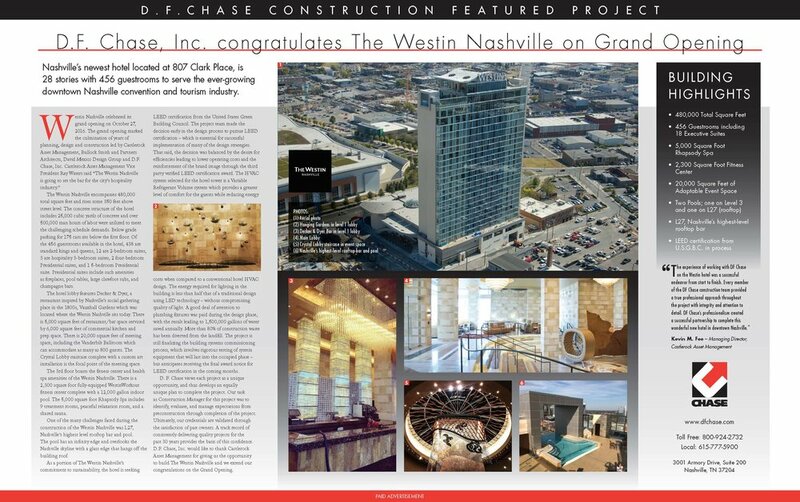 Chase is 1 of only 3 Tennessee based contractors to make the 2016 list. D.F. 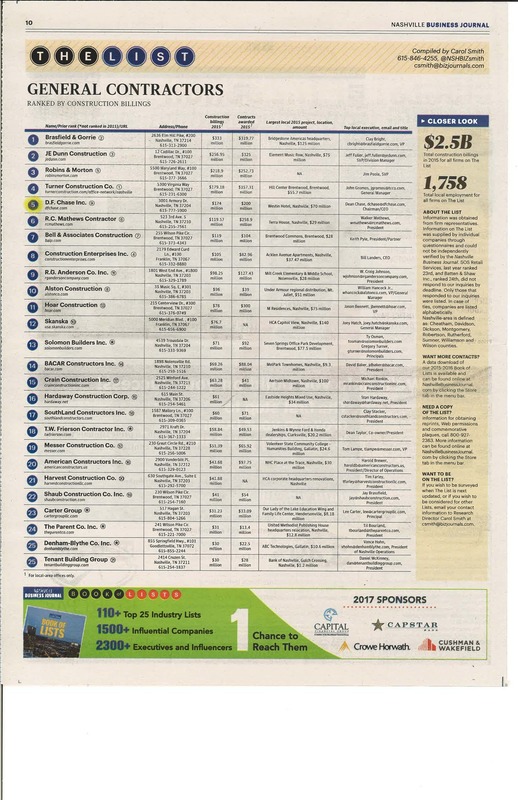 Chase, Inc. was recently ranked as the 5th largest General Contractor by the Nashville Business Journal. D.F. Chase’s ranking is the highest of any Tennessee based General Contractor. 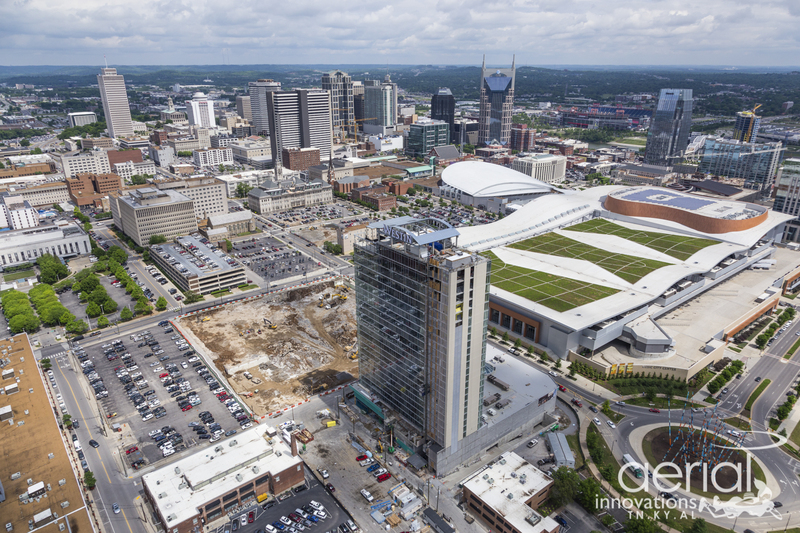 A Nashville-based general contractor has been selected to oversee construction of The Westin Nashville hotel planned on property downtown across from the Music City Center convention hall. Kevin Fee, managing partner for developer Nashville Hospitality Capital LLC, confirmed that D.F. Chase Inc. will handle construction for the 27-story hotel. Groundbreaking for the $116 million project is expected by early November after the developer closes remaining financing by the end of October. Fee’s update comes after the Metropolitan Development and Housing Agency revealed that the planned hotel would be growing to 452 rooms, an increase of 22 rooms over previous plans. “We think there’s plenty of demand in the market. More is always better,” Fee said. MDHA’s board of commissioners cited the additional rooms, plus changes in the capital markets, as the reason for adding an extra $1 million to tax increment financing approved for The Westin. In all, MDHA now will provide $16 million in essentially a loan to the developer to be paid off with property tax revenues to be generated by the hotel. Four months ago, the MDHA board approved $15 million in tax-increment financing for specific purposes, such as infrastructure and site improvement. The Westin Nashville is planned on a 1.7- acre site formerly home to a Cokesbury bookstore and offices of Carpenter Wright Engineers and Bullock Smith & Partners. New York-based David Mexico Design Group is handling architectural design work for the building in collaboration with Bullock Smith. Go to www.westinnashville.com for more information.